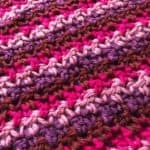 This one skein cowl project was created to be an easy introduction to Tunisian crochet. Crocheted lengthwise, then picking up stitches on the side to add buttons, it can be adapted to any length or height you desire. A challenge for someone new to Tunisian crochet, or a quick project for the more seasoned crocheter, this cowl is a fun project for a crafter at any level. Baah Shasta (100% wool – merino; 200 yards [182.88 meters]/100 grams): Lilac 1 skein. Project uses 175-185 yards. Tfs – Tunisian full stitch – Insert hook from front to back under horizontal bar between two stitches, yarn over and pull up a loop. Because tfs is worked between stitches, each row is offset. 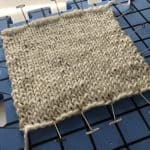 You will insert your hook into the first gap between stitches on the first row and skip the last gap in the row to maintain your stitch count. On the following row, you will skip the first gap and then add a Tfs into the last stitch gap in the row. Repeat like this throughout, skipping the first gap every other row (see chart for visual). Honeycomb Stitch – Row 1: [Tss, Tps], repeat across to end of row; Rp. Row 2: [Tps, Tss], repeat across to end of row. 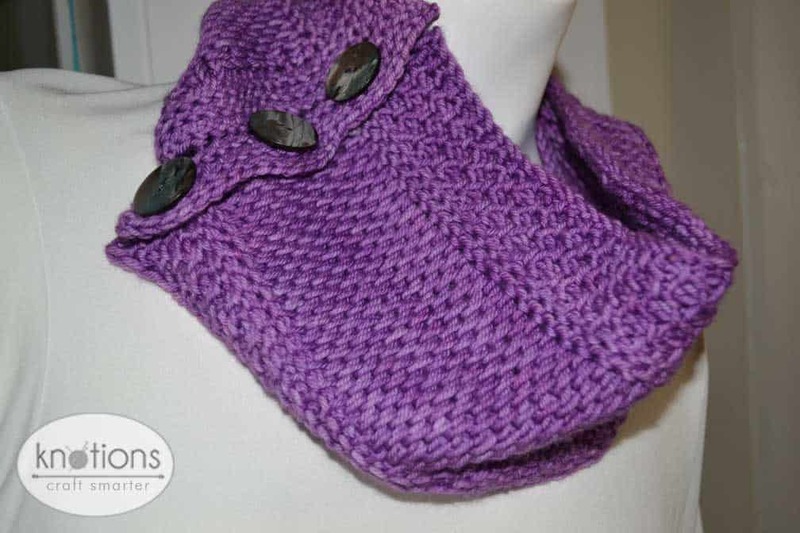 The cowl is crocheted lengthwise, then you’ll pick up stitches along the side to add the buttonholes. 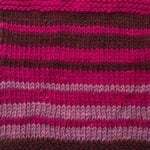 Tunisian crochet consists of both a forward and a return pass. 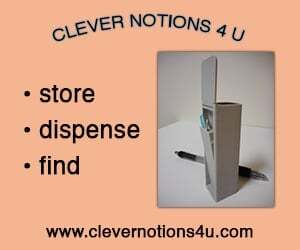 Always work the forward pass first, which is written in the pattern instructions, then the return pass. 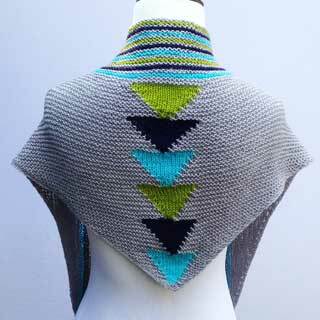 Always skip vertical bar directly under your hook on the first stitch of the row to give a smooth edging to your cowl. 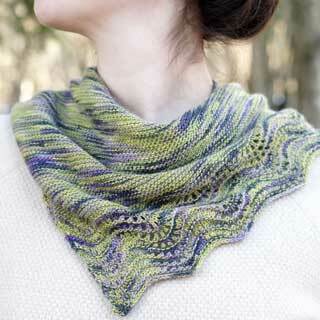 Row 29 (“bind off” row): [Tps as normal but pull your yo through two loops instead of just one. Tss as normal but pull your yo through two loops instead of just one] Repeat across until end of row. You should only have one loop left, there is no return row this time. Turn work 90 degrees so that the short side nearest your hook is now horizontal. Row 4 (buttonholes): Tps 4, ch 3, skip next 3 sts, tps 4, ch 4, skip next 4 sts, tps 4, ch 3, skip next 3 sts, tps 4; Start your return pass as normal. When you get to your chain sts, insert your hook from back to front through the chain st, yo and pull through the st. Repeat for each chain, then go back to your normal return pass (yo and pulling through two loops). Repeat this process throughout your return pass until you have one loop left. Row 7 (“bind off” row): Tps as normal but pull your yo through two loops instead of just one. Repeat across to the end of the row until only one loop remains, then fasten off. Weave in all ends. Wet block, pin to finished measurements, and let dry completely. You’ll notice that the middle buttonhole is a bit wider than the other two. This was done to ensure that the buttons would be even across the side. If the middle hole is too big for you, you can get thread that matches your yarn and sew the edges of the buttonhole slightly so the width more closely matches the other two. As long as you use the 1” buttons and matching thread, it shouldn’t show. Learning to knit and crochet in college, Meghan is an instructor at her LYS when she’s not chasing her toddler around. Her itch to design came from not finding patterns to match what she wanted to create. You’ll find her in Columbus, OH, squeezing in knitting and crochet time during her daughter’s nap times, in long lines, and at baseball games (much to her husband’s chagrin).